Jenn Shepherd graduated from Penn State, Behrend with a B.A. in History which included a strong emphasis on religious studies and the history of religions. Jenn also completed ministry studies at Mercyhurst College and earned a secondary teacher certification from the same college. Jenn is the mother of four children ( four boys ranging in age from 26 – 10 years old), and a certified teacher (she taught 7th and 8th graders in the areas of science and history for 10 years). Over the course of many years Jenn trained in QiGong, Spiritual Healing and Reiki and earned certifications to teach and practice each with others. The practice and the knowledge of energy greatly aided in Jenn’s mediumistic development. She is an ordained Spiritualist Minister, the Spiritual Leader of Unity in Edinboro and a recognized Spiritualist trained medium and QiGong Healer through Master Robert Peng. 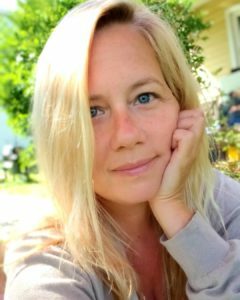 Jenn regularly studies, takes classes and practices to continually develop mediumship, healing and her own unique connection with Spirit. It is in continual self-development that allows service to others through and with Spirit. 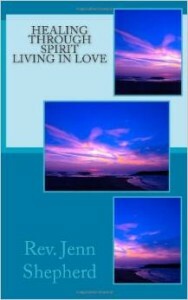 Jenn has authored the book: “Healing Through Spirit/Living in Love”. She keeps a blog, lectures, and teaches both sitting and moving meditation, Spiritual Development, Healing and Mediumship. Jenn is co-founder, of BOLTS of LOVE. All are welcome to participate with Bolts of Love. As a group it shares in recognition that we all carry with us the capacity for Love, Light and Healing. There are no dogmas, there are no faith or non-faith requirements. Bolts of Love has a mission to allow space for gatherings; facilitating the meeting, healing, sharing and growth for all who gather.